Hail can cause damage on all roofs anytime of the year. Hailstorms occur in most parts of the US, and it has been one of the top reasons for roof damage. The roofs can be of any type, it is not completely vulnerable against the attack of hails. Hail damage on the roof can cause damage in assets, financial loss and even affects the occupants. This is where Sugar Land Roof Repair comes into play for you. Assessing the damage caused by the hails is often regarded as a tough job which requires careful observation. It is essential to assess the damaged property in order to claim for your insurance. As soon as there is hail storm attack, make sure you examine your roof for cracks, mark or granules that are missing from the asphalt. 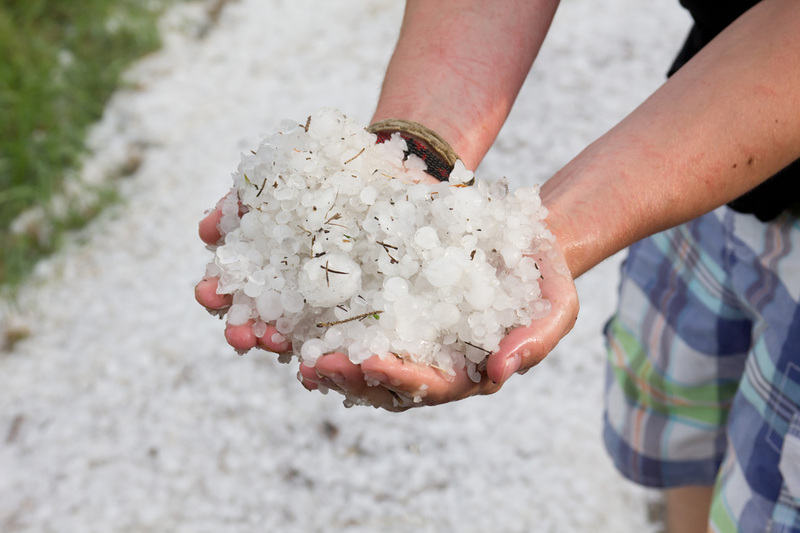 You should ignore the visible signs of damage caused by the hail storms as it is a matter of safety of your home. Let us take you through the different types of damage caused by hails on your roof and further intends to make you more aware of assessing hail damage. The damage caused by the hails can be of a latent type. Latent damage refers to structural break or scratch which cannot be seen as such on outside view. Since it is not visible from outside, it may continue on the same state for a continuous period of time. There are instances of latent damage going unnoticed for months or even years. The damage will be under the covering of roof which will be may be a singly-ply membrane. We get to know about the latent type of damage, like leaking in the roof, roof failures, roof substrates or even cracks later on. To recognize latent damage, you can check your surroundings and the nearby area of your house. The hail that may have caused a latent damage on your roof will probably affect the landscape, window panes, neighboring houses etc. It is advisable to check the plants and shrubs around your house to know whether it stripped of their foliage; there is a possibility of crack on your roof. If you find damage in the nearby area, please have a thorough check on your roof to make sure it is out of danger. On the other side, severe damages are easily assessed as it causes immediate leaks or visible signs of destruction. Even shingles may go invisible on a severe type of damage. You have to immediately seek help in order to avoid further destruction. What to do after assessment? Once you confirm that there is damage in your roof, inform your insurance provider as there may be period restrictions for claiming insurance. However, they will have to confirm the damage to release the payment, so that you can connect to the roof repairer. We are one of the best companies in roof repairing and maintenance in Sugar Land, Texas. With the high level of expertise on all types of roofs, we are specialists in assessing and repairing any types of damage that are caused by natural calamities like a hail storm.